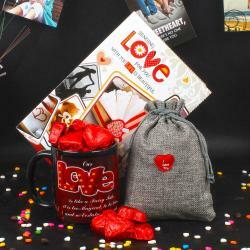 If you are looking for big surprising gift on Valentine Day then this hamper is perfect for you. This is Fragranceful Love Goodies Basket includes Lomani EL PASO Deodorant Spray which fragrance feels romance in the air. 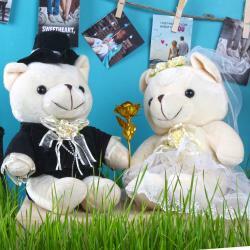 Basket comes with one cute teddy bear with holding love heart to cheer your love one whole day. Without sweetness celebrations becomes incomplete so we have added heart shape chocolates to give yummy treat and I Love You Latter Chocolate Bar to express your love. 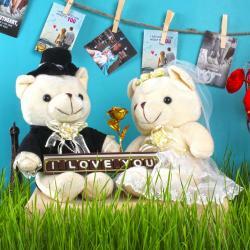 Also, includes Love Special Greeting Card to express your innermost feeling of love. 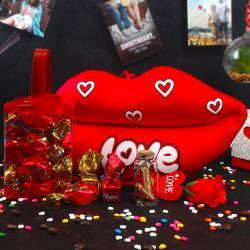 This is best gift hamper ever your love one received and will enjoy sweetness of romance. Product Includes: Lomani EL PASO Deodorant Spray (Weight : 200 Gms) and Cute Small Teddy Bear Heart Holding (Size : 3.5 Inch), I Love You Latter Chocolate Bar, Heart Shape Home Made Chocolates in Jute Bag (Weight : 200 Gms) along with Love Greeting Card In Exclusive Basket.